By the end of 1999, Ziad & Shella Shammas inaugurate the foundation of Lamara Jewelry. Since startup, Lamara Jewelry has aimed at prosperity & innovation, thanks to its ever growing selection in the finest brands of gold, diamond, watches, wallets, masabeh & lighters . . . 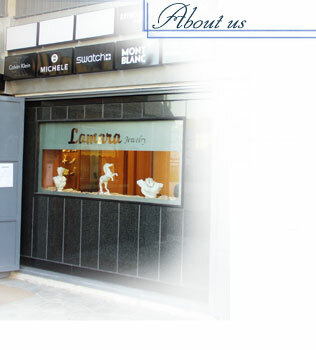 Early in year 2002, Lamara Jewelry blossomed . . .
A successful challenge for the right leader!!! It's all about vision & creativity. . . Outstanding jewelry fashion just to please your tastes, to offer you comfort in all your occasions: Graduation, Wedding, New Born, Baptism . . .
At every corner, sparkling stars are waiting for you. Ready to shine your beauty over! What is the reason behind the name "LAMARA"?